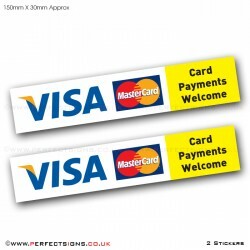 Card Payments VISA Master Card Stickers* These warning safety stickers are to go on any relevant fla..
Card Payments VISA Master Card AMEX Paypal Stickers* These warning safety stickers are to go on any ..
Card Payments VISA Master Card AMEX Contactless Stickers* These warning safety stickers are to go on.. 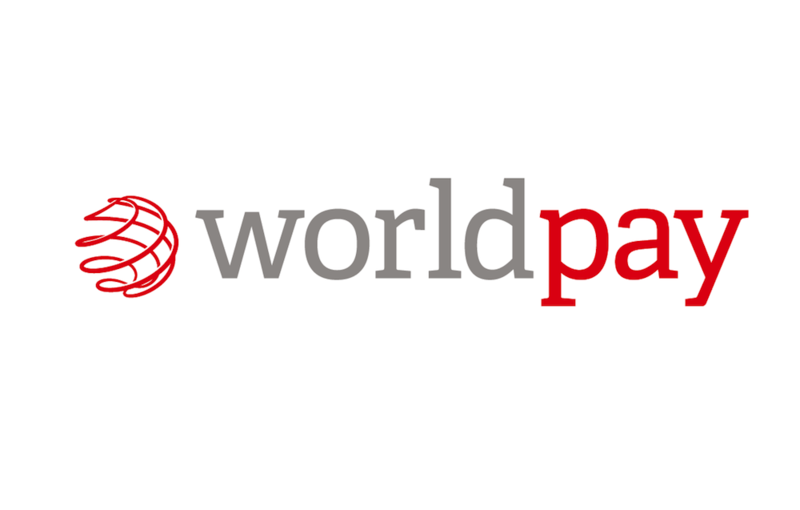 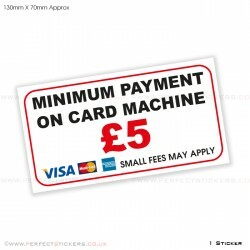 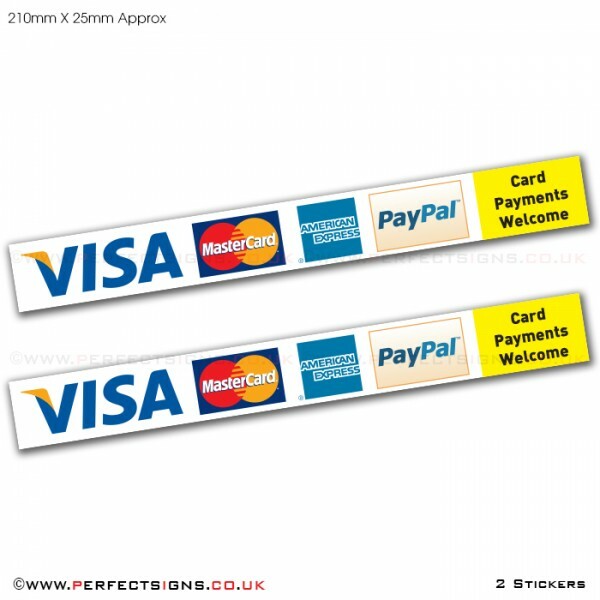 Minimum Payment £5 Card Sticker* These stickers are ideal to be used by retails shops, taxis to disp.. 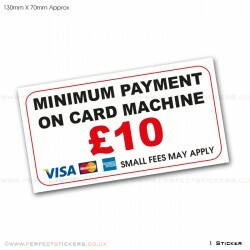 Minimum Payment £10 Card Sticker* These stickers are ideal to be used by retails shops, taxis to dis..
* These warning safety stickers are to go on any relevant flat surface. 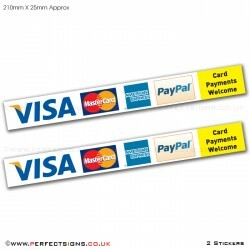 These are ideal for kitchens, Restaurants, Toilet, Offices, etc. 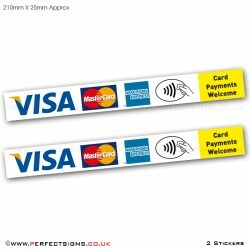 *These are very easy to apply as simple peel and stick.